Barcelona, Spain (June 21, 2017) – Vista Group International (NZX & ASX: VGL) is pleased to announce that it has agreed to pursue a partnership with German independent cinema operator Yorck Kinogruppe, Berlin’s premier art house cinema chain. Yorck Kinos has the intention to work with two Vista Group companies: Vista Entertainment Solutions (‘Vista Cinema’), the global leader in cinema management software for exhibitors, and Movio, the worldwide leader in marketing data analytics for the film industry. Yorck Kinos is Movio’s first German customer. 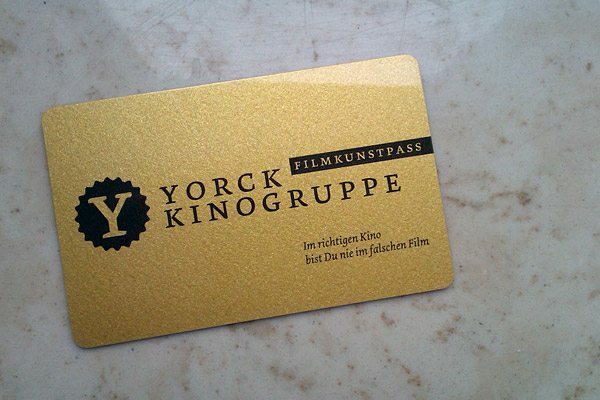 Yorck Kinogruppe is the largest cinema association in Berlin with 12 theatres and an open-air cinema. The theatres show a cross-section of films in some of Berlin’s most revered buildings, many of which have been saved from destruction and restored through the efforts of Yorck Kinos. Vista Cinema and Movio will be installed first in Yorck Kinogruppe’s new theatre venue, a seven-screen arthouse in the heart of Berlin, set to open this autumn. Movio Cinema, Movio’s flagship product, holds comprehensive marketing data covering 55 percent of cinema screens of the Large Cinema Circuit in North America and 28 percent globally accounting for 38+ million active moviegoers. “This investment demonstrates our determination to face the challenges of the digital world and embrace the future at the doorstep of our 40th anniversary in 2018,” added Georg Kloster, Founder & Manager of Yorck-Kino GmbH. Originally founded in 1978, Yorck-Kino GmbH is one of Berlin’s biggest cinema operators, with 12 cinemas and an open-air cinema. Yorck Kinogruppe is a proudly independent chain which believes in putting on fantastic films in state-of-the-art cinemas with superb screens, first-class sound and comfortable seating for customers. Many of its cinemas host international premieres and screenings at the prestigious Berlin International Film Festival. From great theatre palaces to charming small theatres, Yorck Kinogruppe offers the complete art house cinema experience. Vista Group International (Vista Group) is a public company, listed on both the New Zealand and Australian stock exchanges (NZX & ASX: VGL). Vista Group provides cinema management, film distribution and customer analytics software to companies across the global film industry. Cinema management software is provided by Vista Entertainment Solutions, the core business of the Group. Movio (data analytics), Veezi (cloud-based SaaS software for the Independent Circuit Market), MACCS International (film distribution software), Numero (box office reporting software for film distributors and cinemas), Cinema Intelligence by Share Dimension (business intelligence solutions), and POWSTER (creative studio and marketing platform for movie studios) provide products that leverage the success of this platform into other parts of the film industry; from production and distribution, to cinema exhibition through to the moviegoer experience. Vista Group has over 500 staff across offices in New Zealand (Auckland headquarters), Sydney, Los Angeles, Dallas, London, the Netherlands, Romania and Shanghai. Vista Entertainment Solutions Ltd (VES) is the world-leader in cinema management software solutions with installations in over 70 countries across all continents and an estimated 38% global market share in the Large Cinema Circuit market. The Vista software product line is suited to cinema exhibitors operating 20+ screens and up to 100s of cinemas; it comprises a fully inter-connected suite of software modules required to deliver optimal box office return, total cinema management, and internal and external analysis and reporting. VES is head-quartered in Auckland, New Zealand and has subsidiaries incorporated in Los Angeles, London, Capetown and Shanghai. Movio is the global leader in marketing data analytics and campaign management software for cinema exhibitors, film distributors and studios around the world. A company of Vista Group International Ltd (NZX & ASX: VGL), Movio is revolutionising the way the film industry interacts with moviegoers. The company maintains real-time, authoritative data on customer transactions for many of the world’s biggest cinema chains and captures the behaviour of millions of active moviegoers worldwide. Movio operates in North America, Latin America, Europe, Middle East, Africa, Australia, New Zealand, China, and South East Asia. Movio was named winner of the “Innovative Software Product” award at the 2016 annual New Zealand Hi-Tech Awards. Movio Cinema, Movio’s flagship product, holds comprehensive marketing data covering 55 percent of cinema screens of the Large Cinema Circuit in North America, 33 percent in the United Kingdom and 28 percent globally accounting for 38+ million active moviegoers. Movio Media has been a game changer for every major American film studio and distributor, providing comprehensive market data on the demographics and behaviour of moviegoers, crucial audience insights and innovative campaign solutions. The Movio Media technology offers the most powerful and most accurate near real-time film market research platform in the United States.